Holocausto - Campo de Exterminio requires no introduction. The album is simply total mayhem from top to bottom. 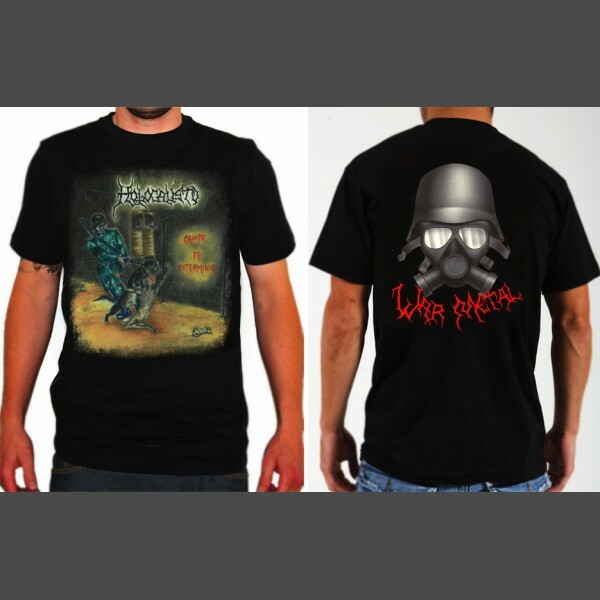 On that note, here's the official Holocausto Campo de Exterminio T-shirt in short sleeve and long sleeve. The Short sleeve shirt has the Campo de Exterminio cover art displayed on the front and the "War Metal" helmet art displayed on the back. The long sleeve shirt has the Campo de Exterminio cover art displayed on the front and the "War Metal" helmet art displayed on the back. 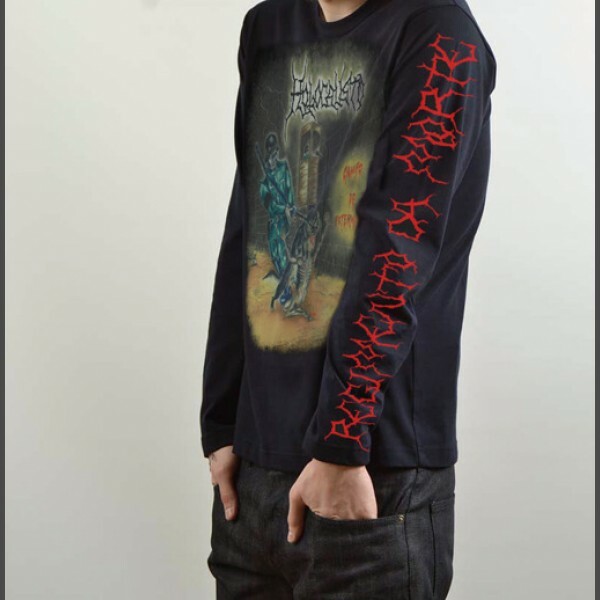 Also, for the long-sleeve version, on one sleeve the following text is displayed: "Regimento da Morte," and on the other sleeve, the following text is displayed: "Guerrilheiro Suicida." All the texts are rendered in the "War Metal" fonts.